597 FORTY EIGHT CREEK RD - Unrestricted Tennessee Farm for sale with Private country home, spring fed creeks, fenced pasture for horses & cows, deer hunting, and No Restrictions. 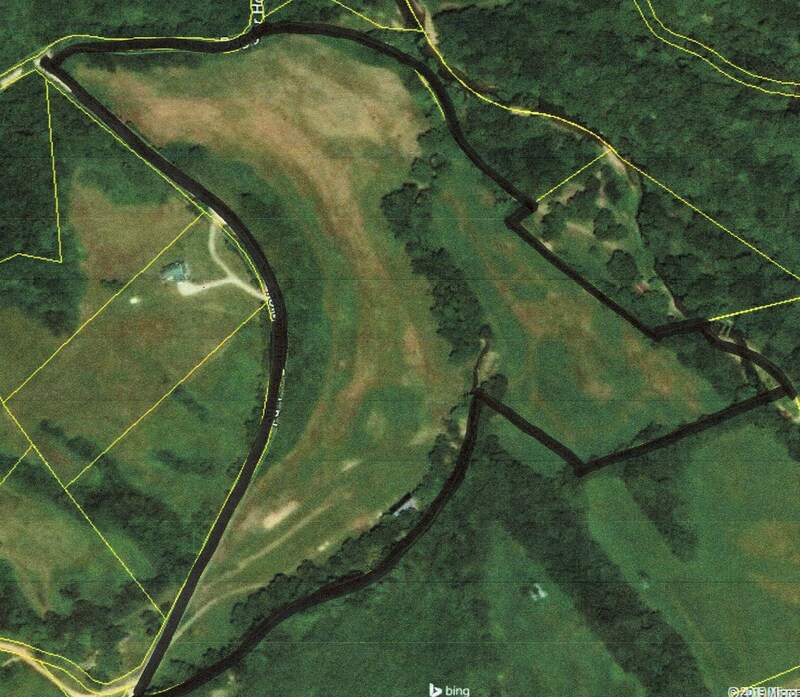 Perfect for a horse farm, hobby farm, TN horse farm, cattle farm, or for a home with acreage to hunt on. You will love the land with rock bottom creek! This custom built 3 bedroom, 2 bath country home features 2x6 exterior walls, has almost 2,000 sq ft and is ready for you to finish to suit your taste. Home has a split floor-plain, with a huge great room, separate dining room, and large kitchen area with island. Two of the bedrooms are completed, except for the flooring, with a majority of the rest of the home needing flooring, sheetrock finishing, and painting. The master bath also needs finishing, but does have a large working tiled walk-in shower, and the guest bath is fully functional. Water is pumped and filtered to the home from a spring fed stream located just a few feet from the huge back porch, and a Hot Water on Demand system insures that you will never run out of hot water. The outside is ready to be covered with vinyl siding, or if you like the log cabin look, use split log siding. The beautiful land measures right at 32 acres, and has close to half a mile of road frontage, making it easy to divide if you chose to. Most of the acreage is fenced for livestock, has 2 spring fed year-round creeks, and Whitetail deer can be seen regularly grazing in the fields. And if you love riding horses, this sensational property joins the Volunteer Trail Riders horse club. Farm is located approx. an hour & half from Nashville, and 15 minutes to Waynesboro TN. For more information and to schedule a private viewing call FRED WEBB at 731-925-7900 or email fredwebbuc@gmail.com. Address :597 Forty Eight Creek Rd.